In the Southern French Alps, Autumn is a time of cool, crisp mornings often disguised with a wispy mist that is gradually burnt off by the warm, autumnal sun to reveal deep blue skies and a unique luminosity sought out by photographers from far and wide! The temperatures are cool enough to permit hearty exercise without overheating and warm enough to sit and relax in the sun and take in the panoramic views you have earned by your exertion. It is one of the best times of year for a range of activities! Here are three of our favourites! Via ferratas were invented by the Italian army to provide a safe and efficient passage across the steep cliff faces of the Italian Alps for their troops. They have now become a sport in their own right. 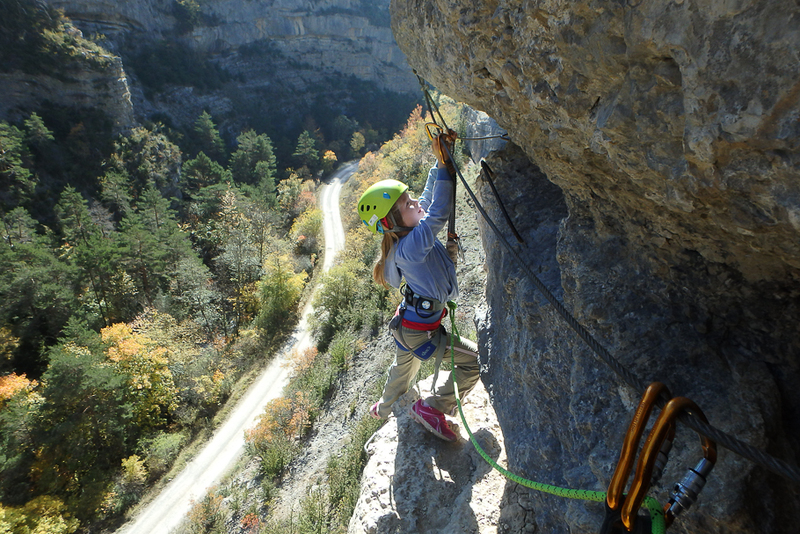 The ‘iron ways’ consist of a safety wire, iron bars and handholds fixed into the rock following a course across a rock face. They often include wire bridges to traverse steep drops between cliffs and some have even set up tyrolean zip wires over the voids, upping the thrill potential! You wear a harness with cows tails that you clip into the safety wire and with Undiscovered Alps you are also roped together providing an additional security just in case you accidently un-clip both cows tails at the same time (which believe it or not, is much more common than you would think)! With the safety precautions minimizing the risk to almost zero, you can indulge yourself in tackling your fear for heights in reassured security and discover places never normally accessible to mere mortals! The optimum weather for physical exertion make road cycling a popular choice for autumn. Add into the mix the clear views and quietness of the roads, with all the summer tourists back to school and work and it is a cycling paradise. The big cols are all still open and cleared so you can be as ambitious as you like with your routes. 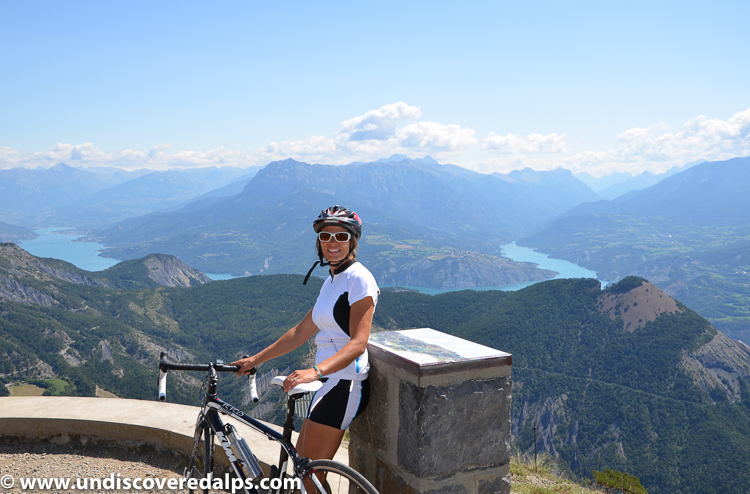 Wherever you go, cycling allows you to cover long distances at a pace where you can appreciate the views and your surroundings and indulge in the magical panoramic scenes as they unfold before your eyes. Tip. It is warm going up, but the air can be cool coming down so windstoppers are a must in your pockets! Mushroom picking in France is a national pass-time and people roaming about with baskets and plastic bags are a common sight in autumn. Walking in autumn is, for all the reasons already described, a perfect activity and an optimum time of year to enjoy the Southern French Alps. 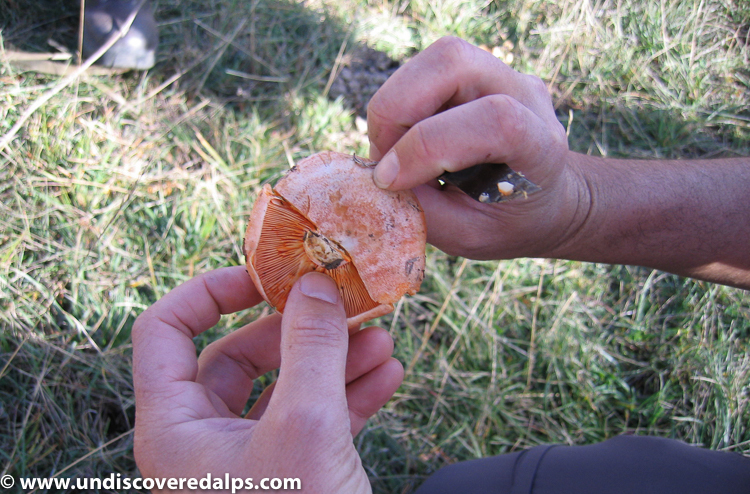 By taking a mushroom guide with you and doing a bit of ‘mushroaming’ you will discover a whole new world of fungus, taking you off the path and into the undergrowth in search of these gastronomical delicacies. The best bit, of course, is then cooking them up later – a perfect ingredient to stimulate your taste buds. Talking of food, another tradition to celebrate whilst you are visiting the Southern French Alps in autumn is the goat eating fest, which goes on throughout the month of October. It’s origins stem from the eating of the goats brought down from the summer pastures. A goat hot pot stewed for four hours… mmm – just the perfect finish for your day out in the mountains.